Is Media Transparency delivering the outcomes promised? The World Federation of Advertisers has called 2018 the the year of Transparency . It is also almost two years since the ANA released their report on Media Transparency, and last year the ANA reported that 60% of agencies had taken steps to improve transparency. But, more importantly, is it delivering the outcomes advertisers expect? Or has media transparency become a distraction from focusing on measuring media performance and value? We asked the market with our Industry poll, “Is media transparency delivering the outcomes promised?” Find out the answer here. How transparent is your media investment process? How much media value are you missing out on? 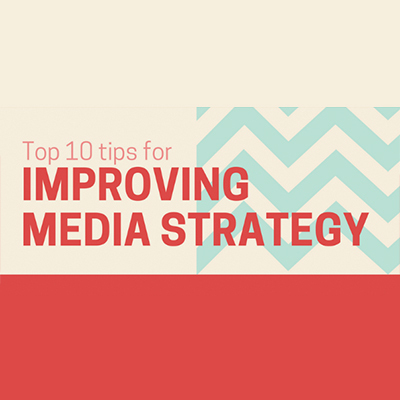 Where can you improve your media investment performance? For most CMO’s, media is the largest marketing budgetary expense under direct management. Scarily, it is often the least understood too. With complex contractual relationships and ever increasing media channels, it is difficult for budget owners to keep up with the media market and its inherent risks. At TrinityP3, we understand the great opportunities as well and the pitfall, and have prepared this simple guide to help you on your way. The subject of ‘Media’ is multi-faceted, complex and much debated. So much commentary often clouds the reality of the issues at hand, and can be very hard for marketers and advertisers to decode. 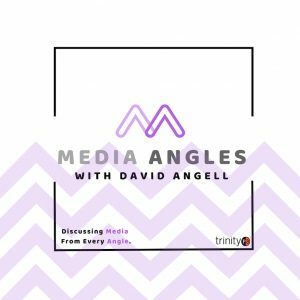 David Angell, Head of Media at TrinityP3, has contributed to numerous articles, interviews, blog posts and podcasts, each focussed on different parts of the media world. Here, David attempts to weave the threads together into a single pattern to demonstrate, in a single source, TrinityP3’s ‘approach to media’ across several important issues facing the industry today. In this series of podcasts, David sits down for some enlightening conversations with respected individuals from many different areas, all of whom have unique and insightful perspectives on the hot topics in market today. His guests will include senior marketers, digital leaders, agency CEO’s, industry trailblazers, procurement specialists and more. As marketers and creatives with the power to influence our society we need to be at the forefront of producing creative that is without unconscious bias, and stop perpetuating gender bias, cultural bias and prejudice of all kinds. Missing the mark on diversity of thought is a strategic problem limiting brand success. Marketers and creatives alike share the responsibility to keep each other accountable for change, armed with some actionable steps to take. We need to lead the way and be empowered to make the cultural shifts in our society and be prepared for the change that our customers are waiting for. Is the structure of your marketing team hindering its success? You have received this email as a friend, client or supporter of TrinityP3 or as someone who has subscribed at TrinityP3.com .